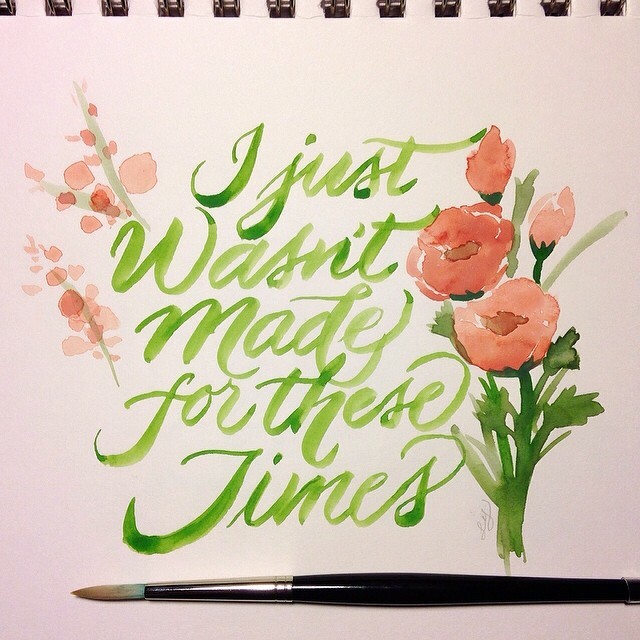 I was listening to The Beach Boys’ Pet Sounds tonight and was inspired by the song “I Just Wasn’t Made for These Times.” Such a wonderful, fitting song. I think quite a few calligraphers like myself must feel the same, wishing we can get into a time machine and travel back to the Golden Age of Penmanship! I guess I just wasn’t made for these times. This entry was posted in Projects and tagged brush, watercolor on February 18, 2014 by linda.